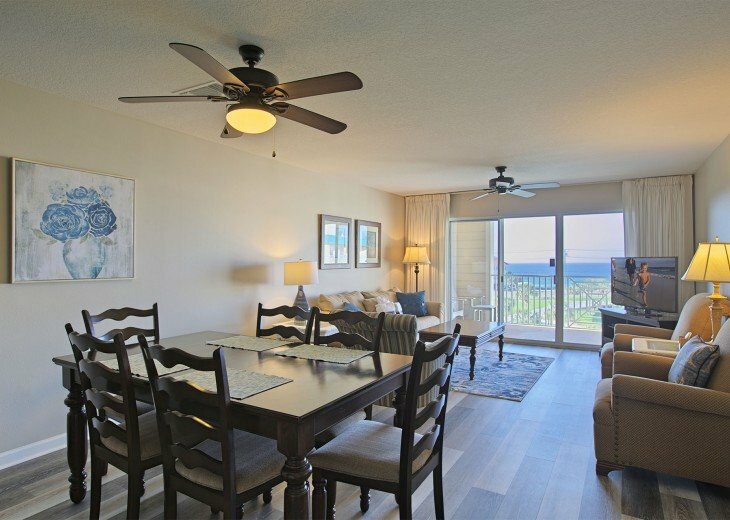 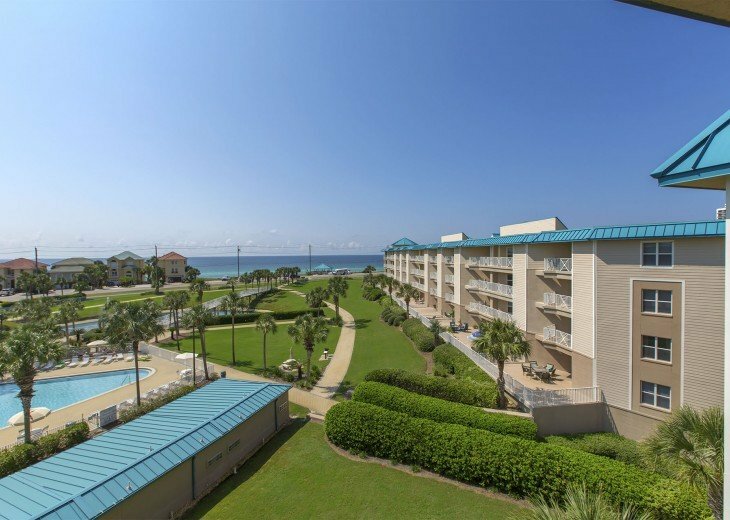 The Amalfi Coast is an enduring favorite among Ocean Reef Resorts guests with an impressive centralized, convenient location in Destin's Miramar Beach on Scenic Gulf Drive. 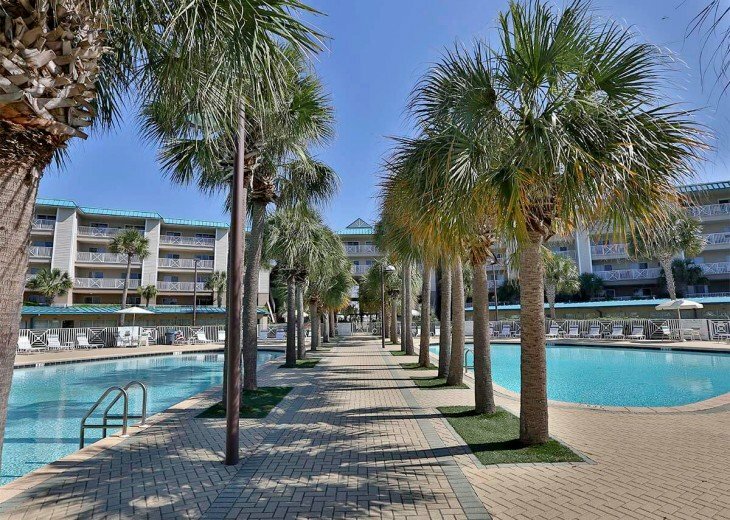 The tropically landscaped grounds create a lush oasis that spans across over eight acres. 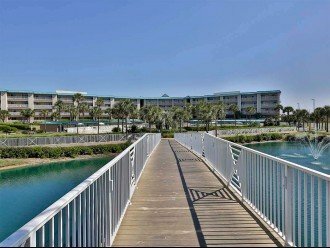 The resort is adorned with towering palms and two large sparkling swimming pools at its center that overlook a lovely lagoon. 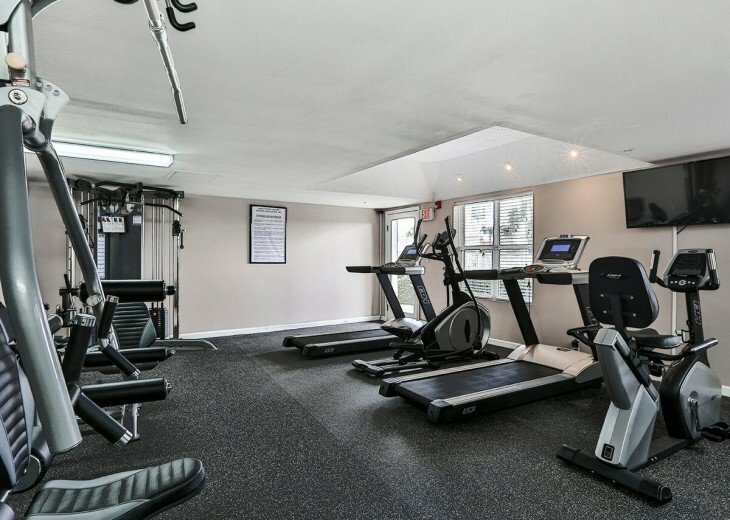 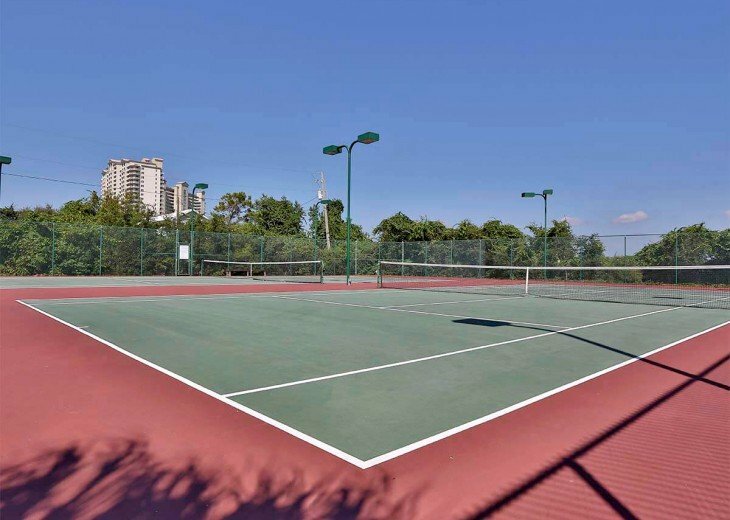 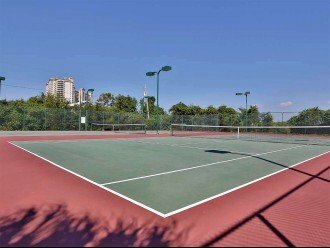 Amalfi Coast also features a Fitness Center, a basketball court and twin lighted tennis courts. 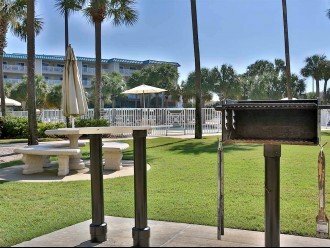 A spacious patio wraps around the double pools, and grills with tables provided for poolside dining. 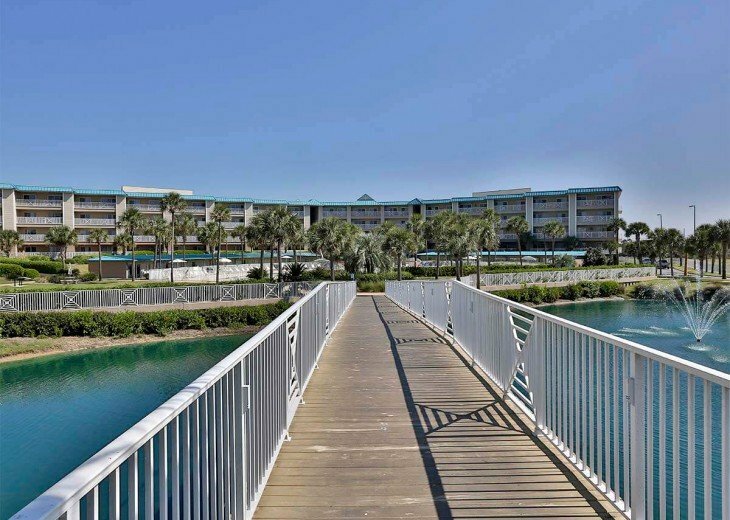 A raised pedestrian bridge crosses over the lagoon and leads toward the beautiful beach. 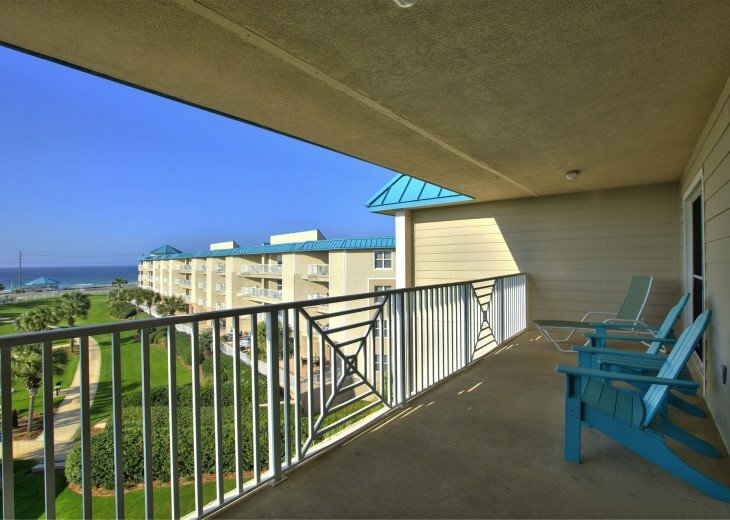 A high dune top gazebo offers gated access and remarkable panoramic views of the glittering jewel toned gulf and private beach below. 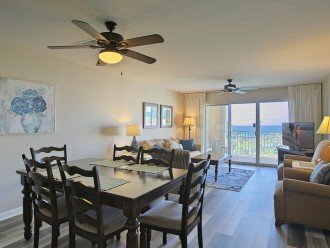 Amalfi Coast 415B is a top floor two bedroom vacation rental that has a premium location overlooking the impressive scenery that includes the two palm-studded pools, the beautiful lagoon and the gorgeous gulf beyond. 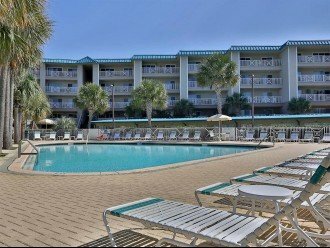 When not taking a refreshing dip in one of the pools, luxuriating in the glowing gulf or perhaps playing tennis, you will find yourself wanting to spend a lot of time on the balcony taking in this fantastic setting with favorite frozen drinks in hand. 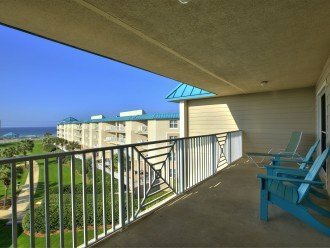 This breezy balcony is accessible from both the central open living area and Master Bedroom Suite. The glass balcony doors frame the beautiful views from each room and can be seen first thing in the morning when getting out of bed in the Master Suite. 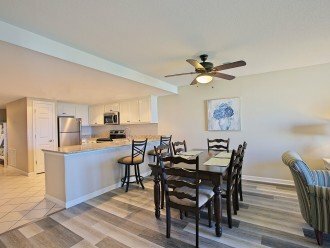 The open living area is outfitted with brand new floors and comfortably furnished with a latte colored couch as well as three accent armchairs. 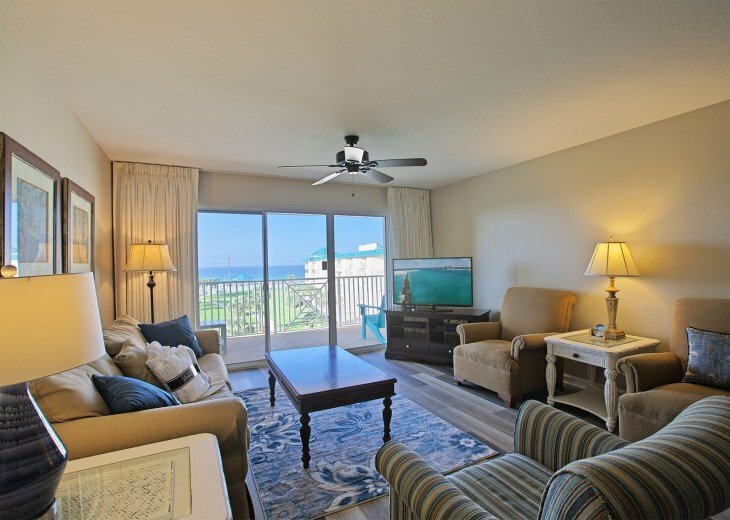 They provide a seating ensemble centered upon views of the gleaming gulf and a large TV. 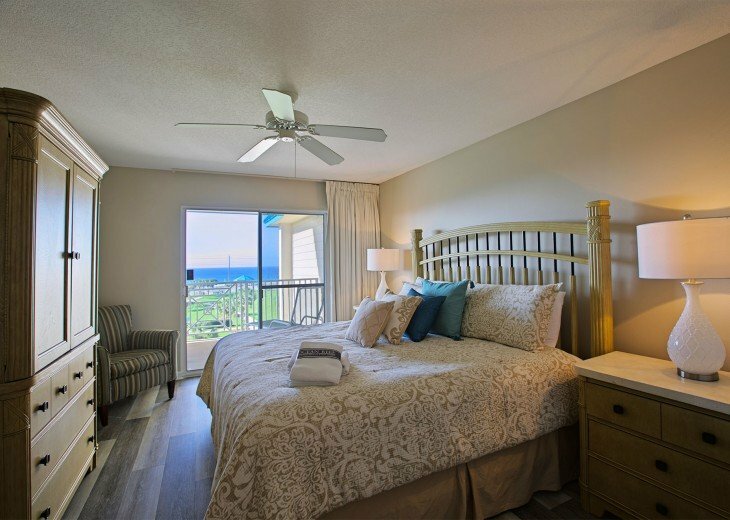 This room is elegantly appointed with lovely lamps and upscale tropically inspired decorative art. 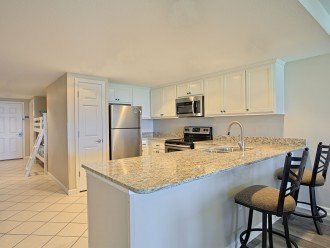 A beautiful formal dark hardwood dining table includes six ladder-backed chairs near the cheerful open kitchen boasts new granite countertop, stainless steel appliances, and features a breakfast bar with two raised chairs. 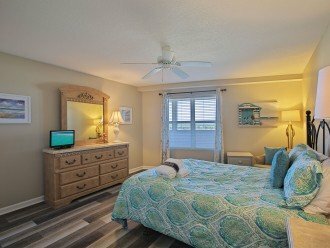 The Master Bedroom has a full private bath en suite, a comfortable king size bed, an entertainment armoire and an armchair beside the balcony doors. 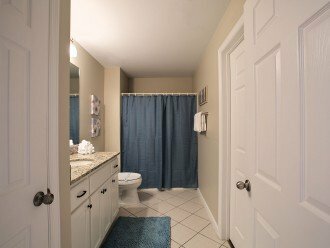 The Guest Bedroom adorned with clean crisp colors and includes a queen size bed and has access to a full hall bath that doubles as a convenient powder room. 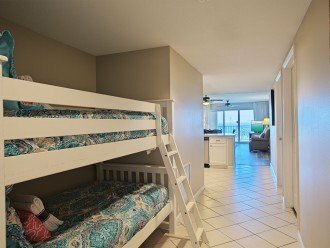 Twin bunk beds are tucked in off the hallway that leads into this unit so up to six happy guests, accommodated here and all in beds. 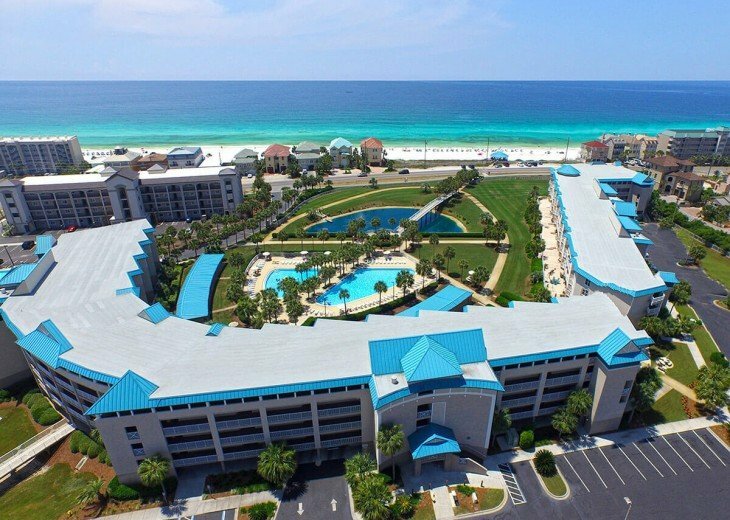 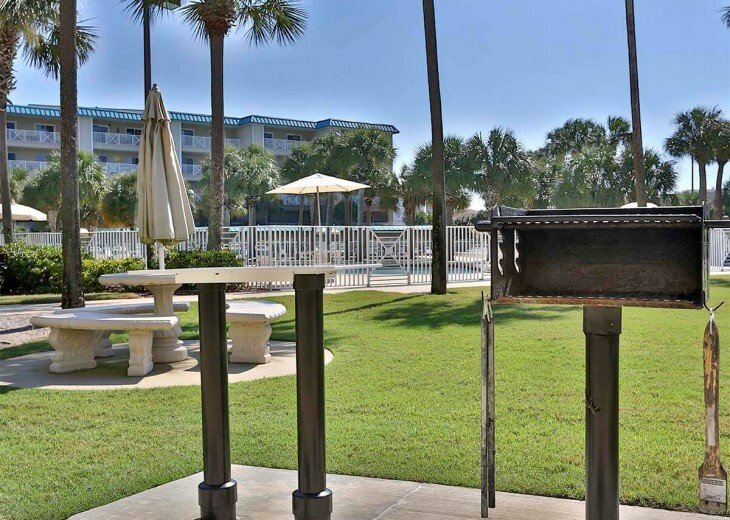 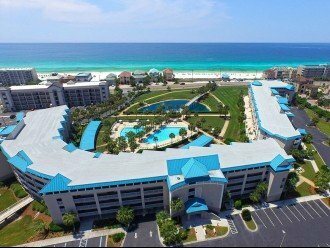 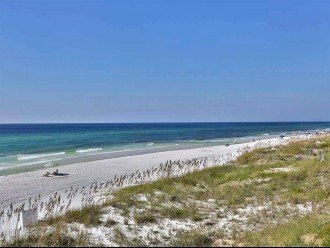 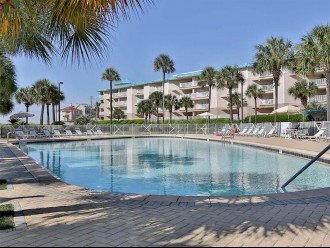 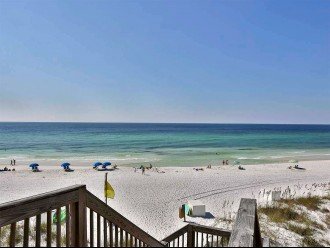 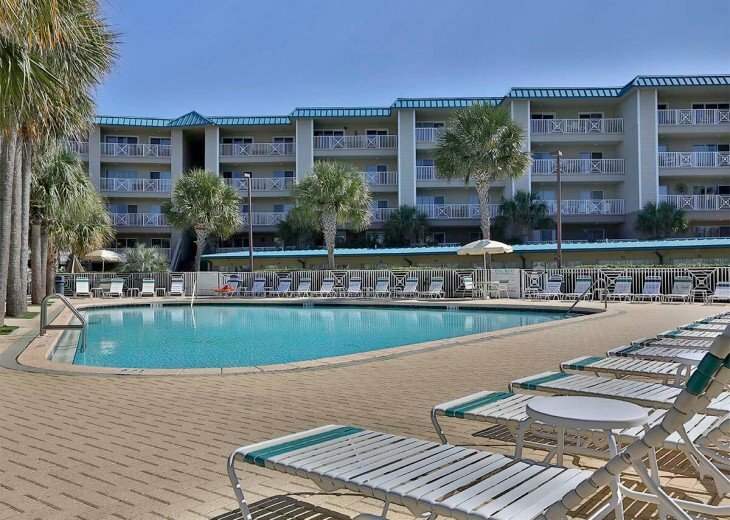 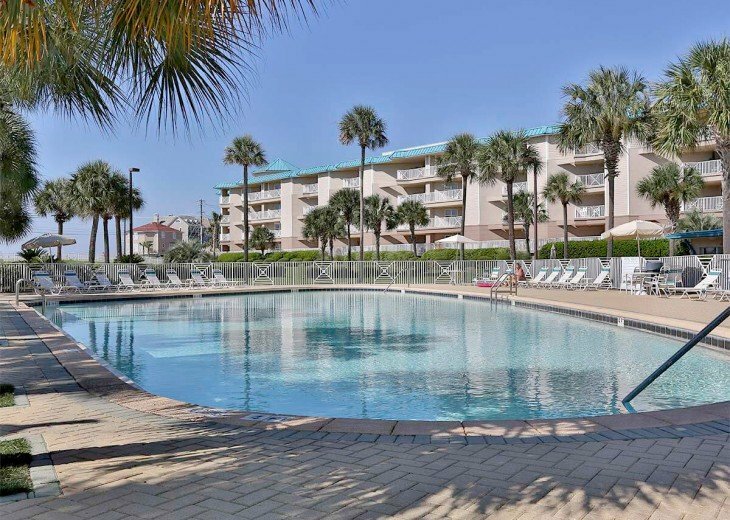 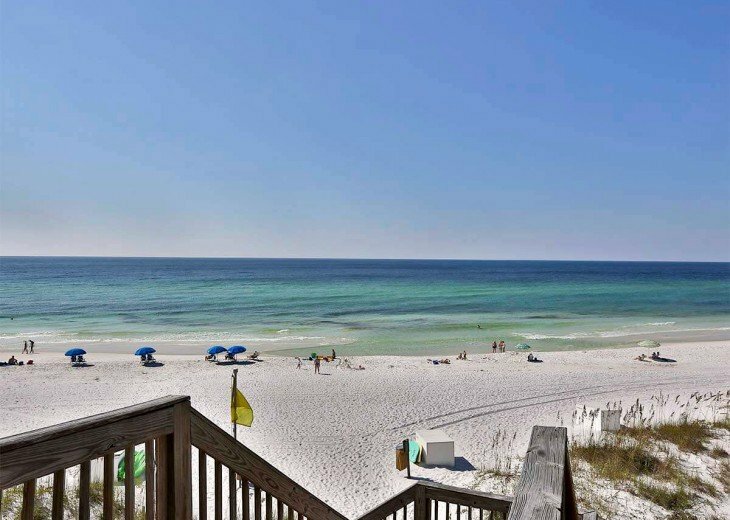 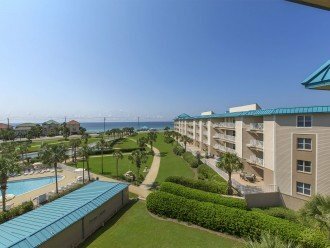 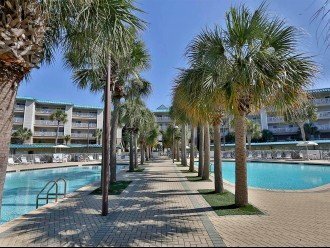 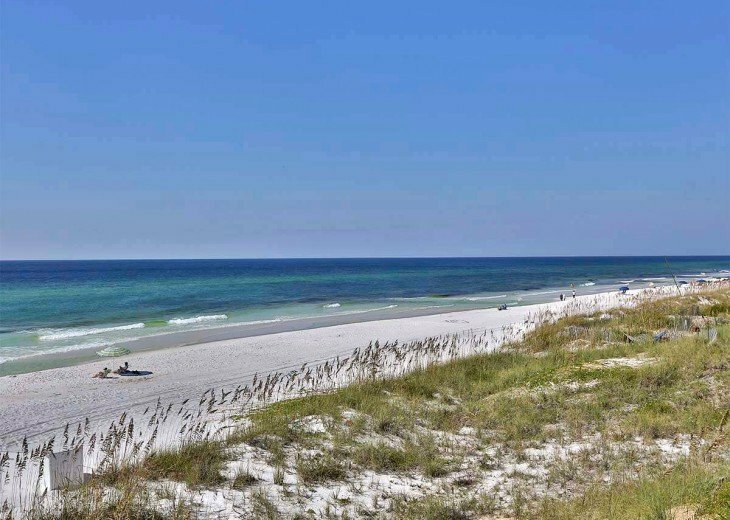 This excellent Miramar Beach location at the Amalfi Coast Resort places you minutes away from favorite gulf front restaurants and fun, friendly beach bars along Scenic Gulf Drive. 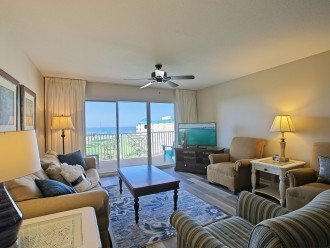 Golfers who are Ocean Reef Resorts guests receive reduced rates for playing an 18 holes championship golf course at nearby Seascape. 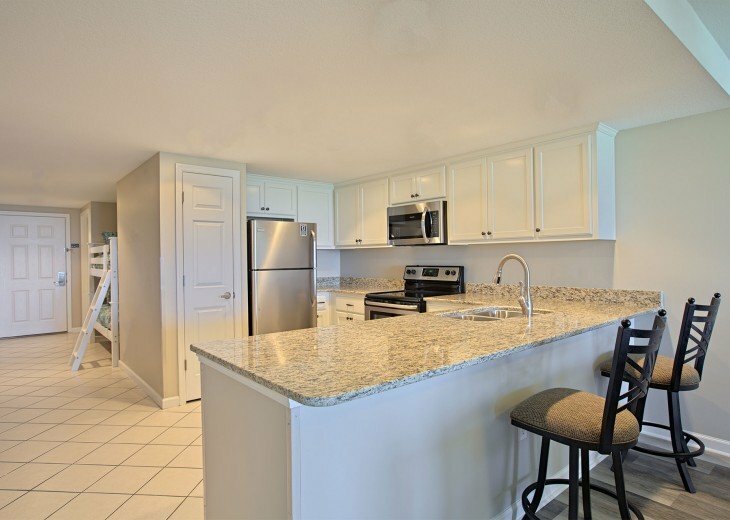 Local grocery stores, wine outlets and bargain shopping at the famous Silver Sands Premium Outlets are very close. 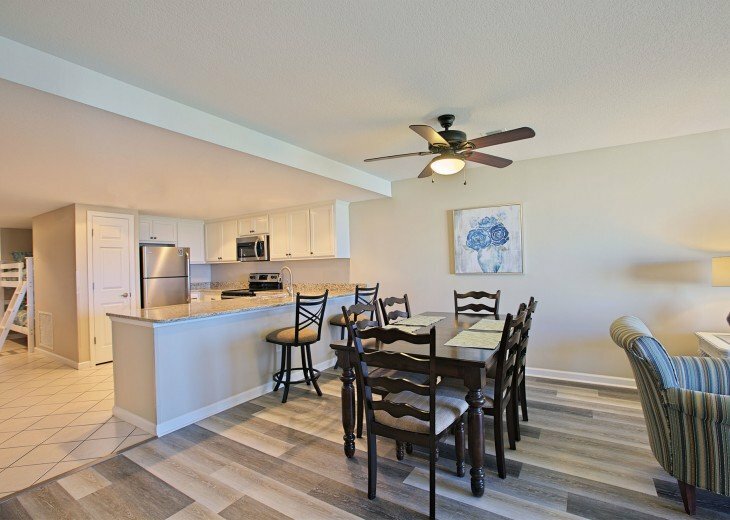 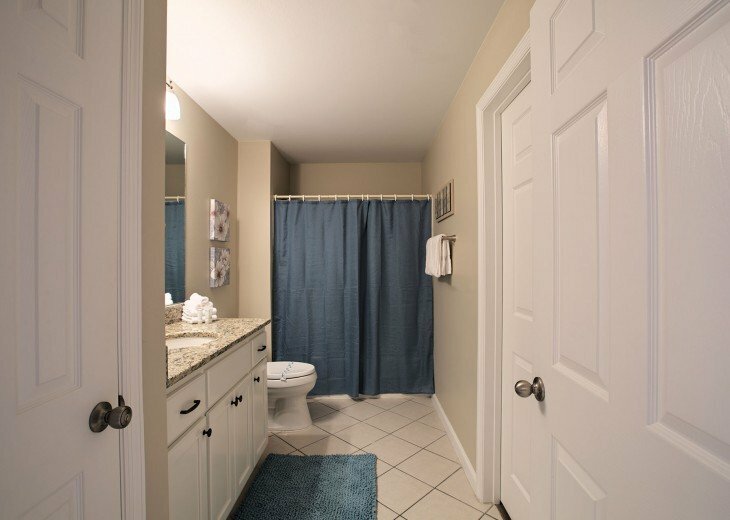 Also, abundant amusements, restaurants, lively bars, specialty shops, seasonal festivals, fireworks and free concerts are nearby in the charming Village of Baytowne Wharf along with Grand Boulevard in nearby Sandestin. 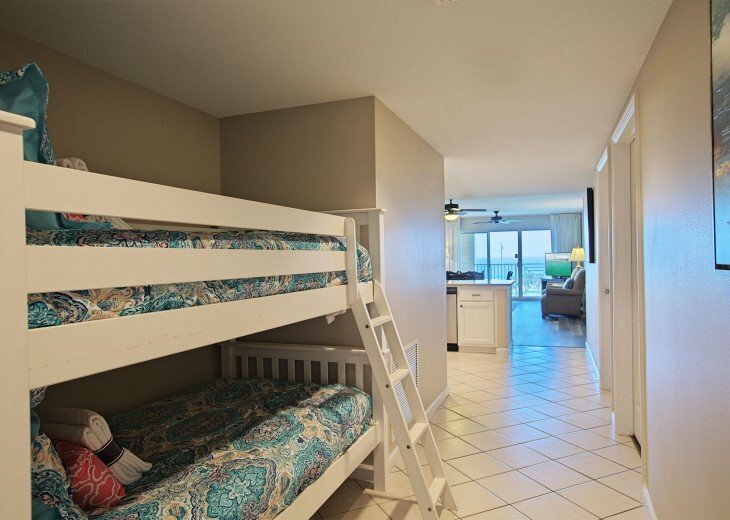 This Condo only allows for 6 people to stay the night per HOA regulations.